From 1987 until his unexpected death in July 2015, Dr. Nicholas Gonzalez worked in private practice in New York with his colleague Dr. Linda Isaacs. At the time of his death, Dr. Gonzalez was working on a book of case histories. 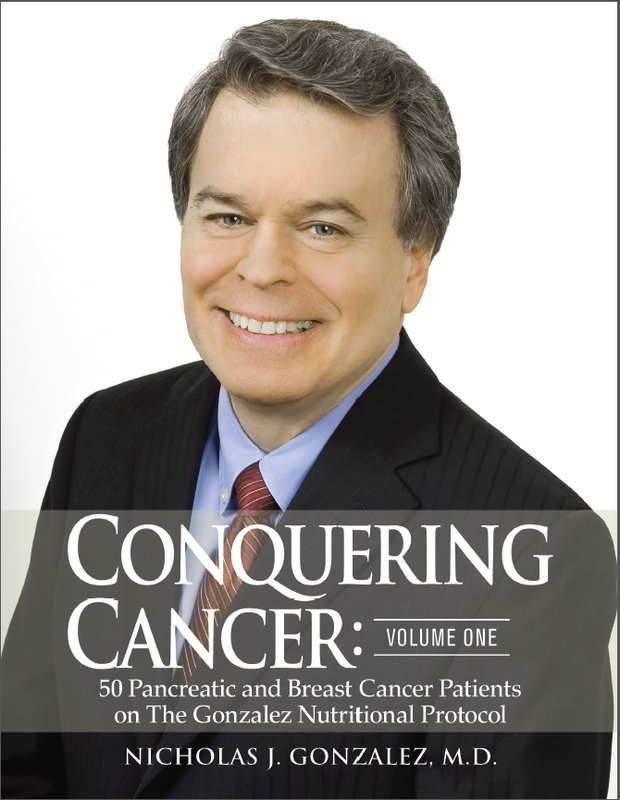 The first volume of this book, Conquering Cancer is being published posthumously by his publisher New Spring Press and Volume One of the book has now been printed. UPDATE: A new website has been launched to promote Conquering Cancer Volume One, which is now available (in print and Kindle editions. Please click HERE for details. All of New Spring Press’s books are a vital addition to any medical or other health practitioner’s professional library. To sign up for the newsletter from the the Nicholas Gonzalez Foundation to learn about professional development opportunities or to make a donation to support the work of the Foundation (which is a registered 501(c)3 non-profit foundation) please click HERE.